Our spot cooling units can actually be more efficient than permanent air conditioning. In addition to being affordably priced, they use much less energy than traditional air conditioning so they save you in utility costs. They truly are the best solution for any short-term temperature issues. Spot coolers are always popular at remodeling sites and industrial warehouses. Here, spot coolers keep a comfortable environment for employees but also maintain a certain level of humidity so that all projects carry along smoothly. In these industries, there is rarely a need for permanent air conditioning because project sites are always changing and only a small area needs to be targeted. For those planning events, spot coolers are also favorable. No one wants to attend an event where they know they’ll be sweating. Even if you’re hosting a spring wedding, spot coolers will keep your guests comfortable and happy. In addition to weddings we offer event air conditioning at concerts, corporate outings, sporting events, and much more. 1. 3500w refrigeration capacity industrial portable air cooler. 2. 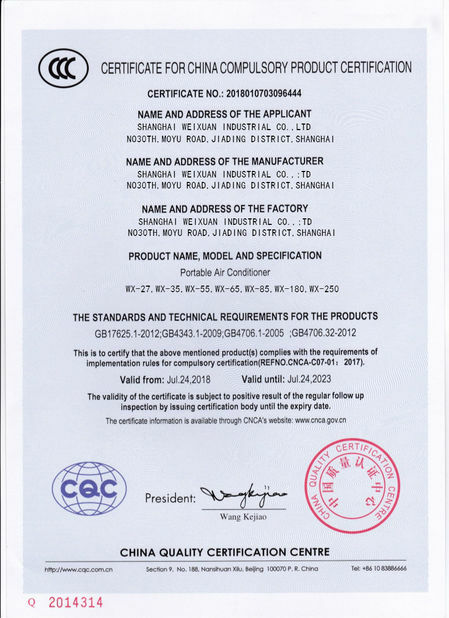 R410A environmental friendly refrigerant,save energy. 3. 14L big water tank, be able to remove conveniently. 4. 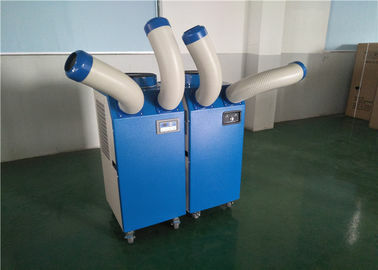 Portable air conditioner to reduce temperature. 5. Imported Rotary compressor to ensure refrigeration capacity. 6. Design with universal wheels,easy to move anywhere. 9. Durable filter: Large surface area, with no necessary to be frequently maintained. 10. Built-in auto swing mechanism: An auto swing mechanism is built in the unit. If you face any problems in future during testing process we promise we will give you a reply within 48 hours and solution provide within 3 working days. We can offer operation video and English operation muanual. We can provide video-conference. Simulation Animatronic Customer Triceratops are covered with air bubble film before put them into the wooden case, heat sealing and also has the advantages of nontoxic, odorless, moisture corrosion, good transparency etc.